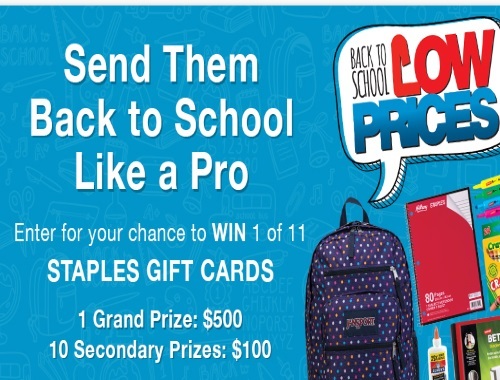 Save.ca has a new Back To School Contest! Send them back to school like a Pro! Enter for a chance to win 1 of 11 Staples gift cards. 1 Grand Prize of $500 and 10 Secondary prizes of $100! Contest ends September 6, 2017. Quebec is excluded.